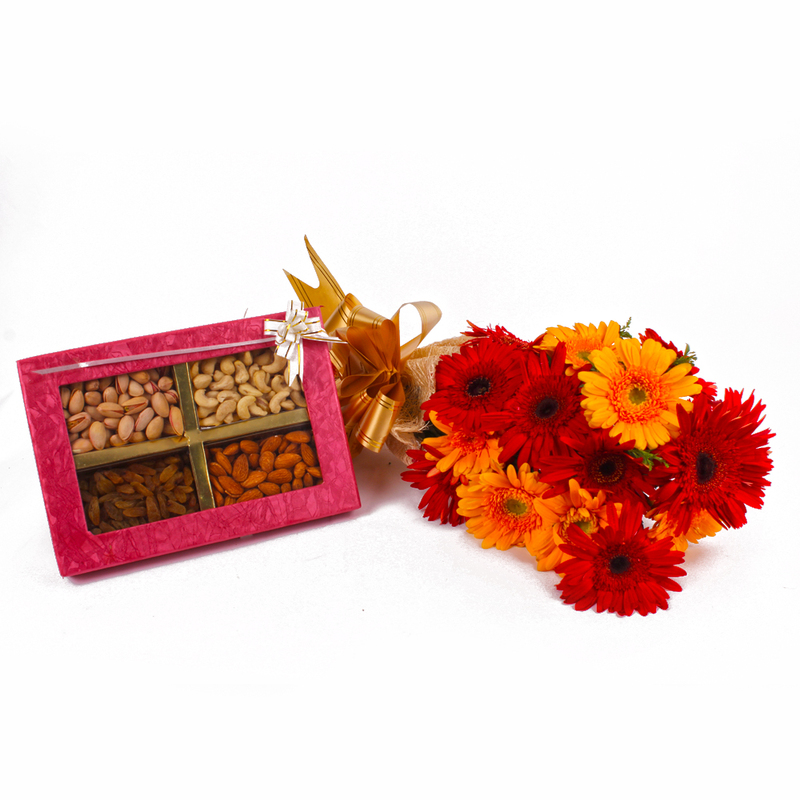 Product Consists: Bunch of 12 Gerberas in Red and Yellow Color with green fillers along with Box of Assorted Dryfruits (Weight : 500 Gms). 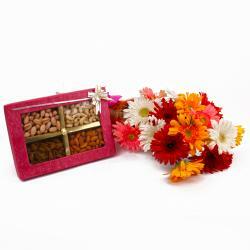 This Gift Hamper consists of a dryfruits and gerberas. 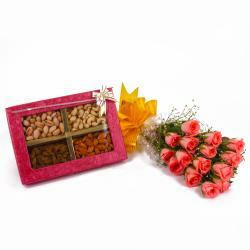 The aromatic fragrance of the flowers will surely spread the message of love to your loving recipient. 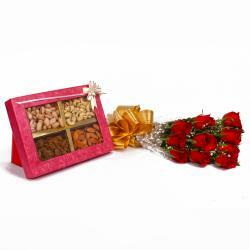 Send this Gift Hamper to India on Valentines Day, Holi, and Easter, Romantic, Makar Sankranti or any other occasion and make him or her feel treasure the moment. 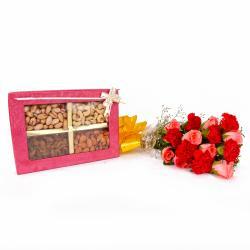 This combo is also be teamed up with Healthy dryfruits and fresh gerberas bouquet what better gift you may send to your beloved than this ones. This hamper will mesmerize your special person in India with its sheer elegance and send this hamper for your loved ones along with other bewildering Gifts to India through Giftacrossindia and make your dear ones feel special. This gift hamper contains : Bouquet of 12 Gerberas in Red and Yellow Color with green fillers along with Box of Assorted Dryfruits (Weight : 500 Gms).